Using ngrx in ionic 4 is just as simple as using ngrx in angular application. Don't worry if you are not familiar with it. In this tutorial, I'll explain to you how to use ngrx in ionic 4 application. 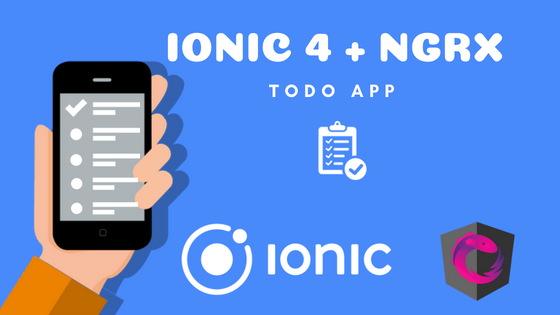 We are going to create a very basic Todo Application to demonstrate the structure of ngrx in ionic 4 application. 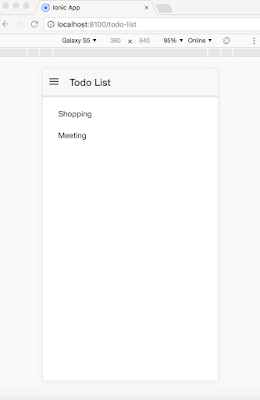 At the end of this tutorial, we'll be having an ionic 4 application which is having one page called todo-list which shows the list of todos using ngrx-store. First of all, we need a basic ionic 4 application. We need one page to show the todo list, so we are going to create one page for it. If you look into the above command, we've written pages/todo, that means we are telling ionic to generate todo-list page inside pages folder. and it generates the page with lazy loading feature. 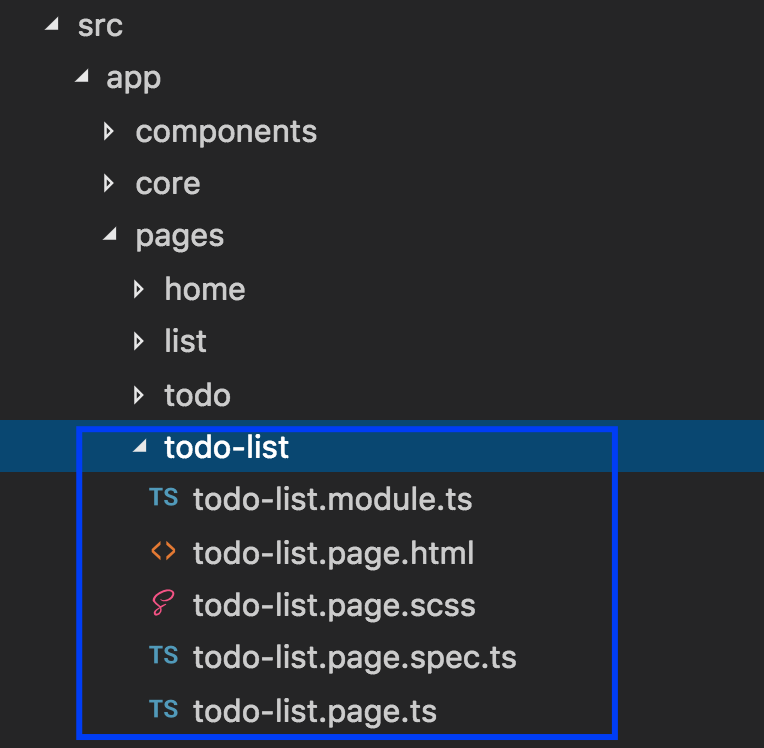 If you'll notice the todo-list folder, it comes up with todo-list.module.ts. This is going to support lazy loading feature. Once you have a basic setup for ionic application, then install ngrx packages. You can learn more about in memory web api here. so the following package is not compulsory to install. 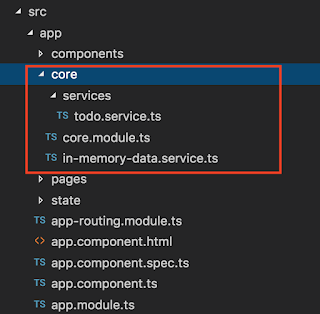 The good practices to create services is inside its own module called CoreModule. Here in CoreModule, we can create services, guards, interceptors, models and etc. 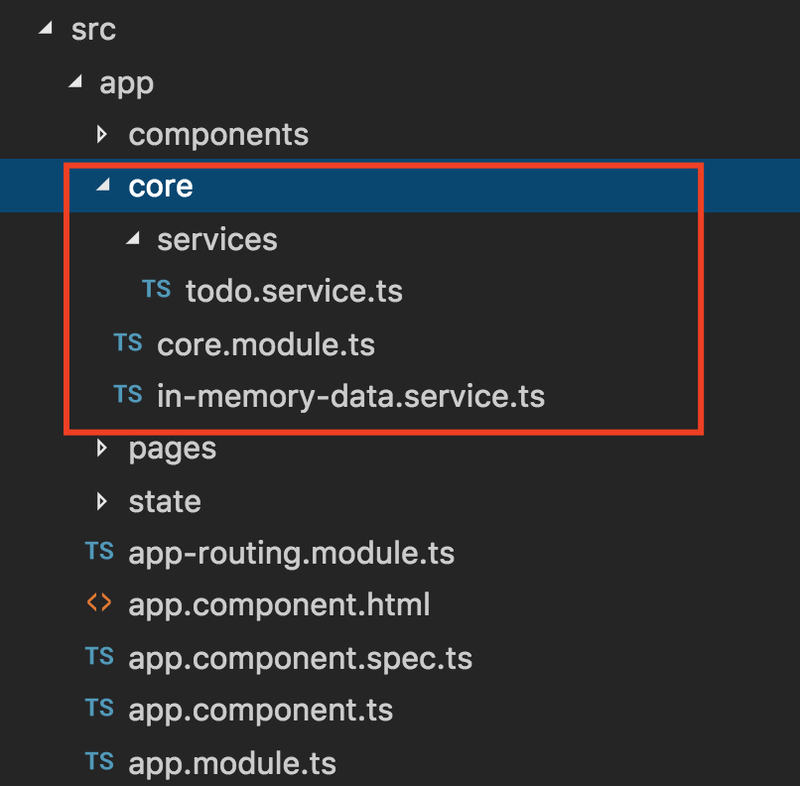 Now create todo.service.ts in the app/core/services directory and copy the following code into it. This service contains methods for getTodos (All todos), getTodo (todo By Id) and it gets data from in-memory web API because we are using in-memory web api in our example, but you can set up to get real data from live API endpoint. we'll create inmemory dataservicce, it's not compulsory to create but since we are not using real api endpoint, we'll use it to fake the api endpoint. Generate new file in-memory-data-service.ts and copy the following code into it. 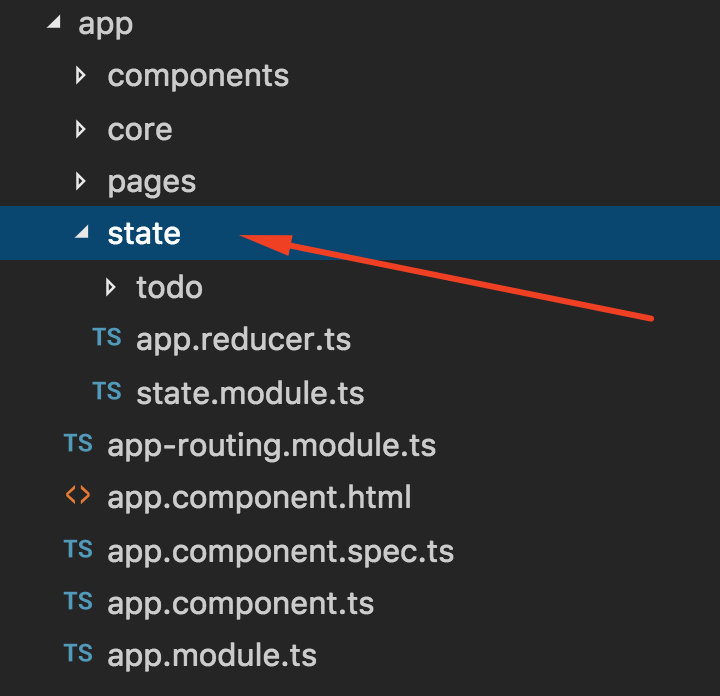 First, create a new folder called state in app folder, this folder is responsible for containing the state for all modules that the app contains. 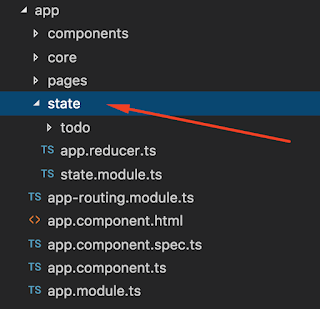 To easily distinguish the state of all modules, we'll create a separate folder for each module inside state folder. 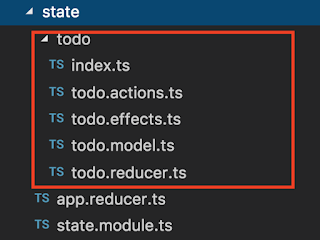 In our case, we'll create todo folder inside state folder so it will look like the following structure. We are exporting this const, because we will need these in the reducer and effects later. We will use this const string to define the type of the actions. 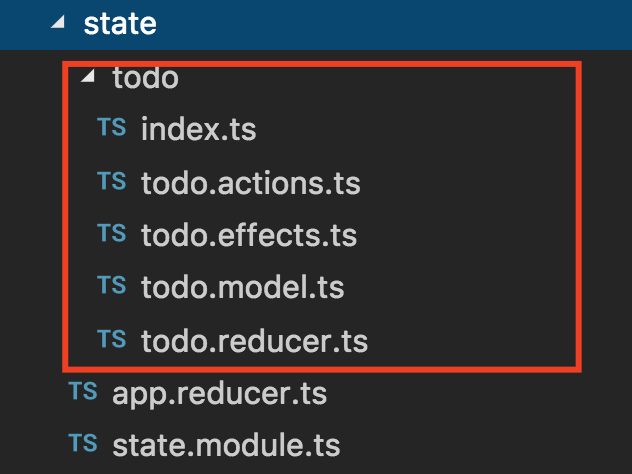 Create todo.actions.ts file in app/state/todo directory, this file is responsible for creating actions which are related to todo module. Here we've created few actions to get todo list from API. and there is a success and fail action which will be called from effects based on the response of API. Effect will communicate with service. It will call service and based on the response it will dispatch the success or fail action. and based on its response it will dispatch either GetAllTodoSuccess or GetAllTodosFail. The task of a selector is to select the property from the ngrx state, and we can call this selector from our component to fetch the data of ngrx state. Here you can see that we are telling ngrx that select getAllTodos from getTodoState. selector which is defined in reducer. Generate AppState interface to represent the entire state of the application. 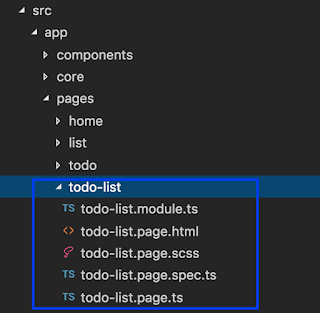 You can add other modules same as todo module. Copy the following code in app.reducer.ts in app/state directory. Now we'll create the module for the ngrx state called StateModule, where we'll define our reducers and effects. Create a new file called state.module.ts in app/state directory and copy the following code into it. Now, ngrx setup is completed and it's time to update our ionic page to fetch a list of todos using ngrx. Run the application using ionic serve. 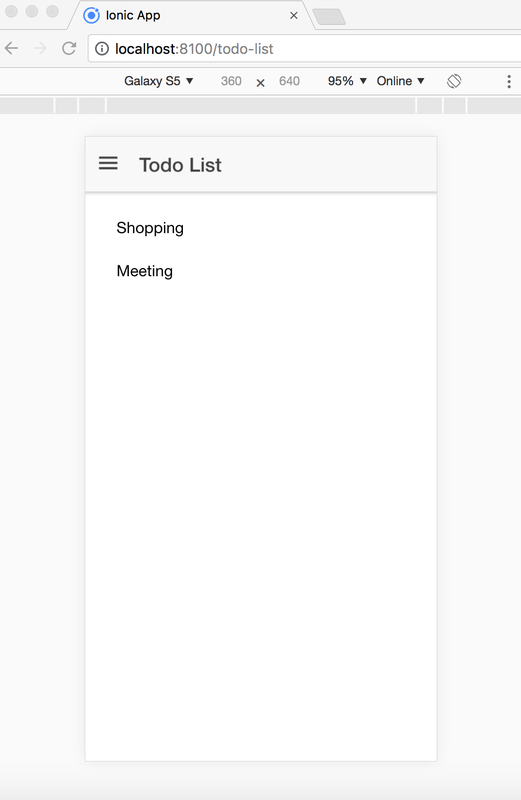 It will run the ionic app and open /todo-list url and it will display the following result. Here you can see that it has displayed two results Shopping and Meeting from in-memory-web-service.